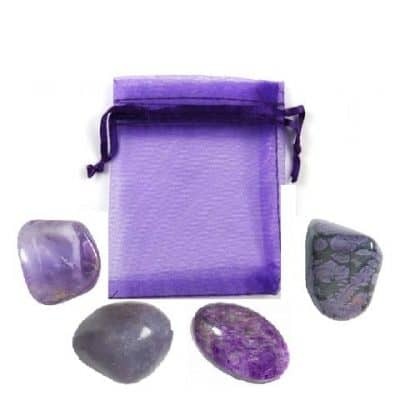 This incredible pouch can be used to “Ask, Believe, Receive” with the metaphysical healing power of crystals! The law of attraction works when we first ask the Universe for what we want. We must have faith and believe that we are deserving and know that we are worthy of the request. We now must be open and receptive for our desire to manifest. 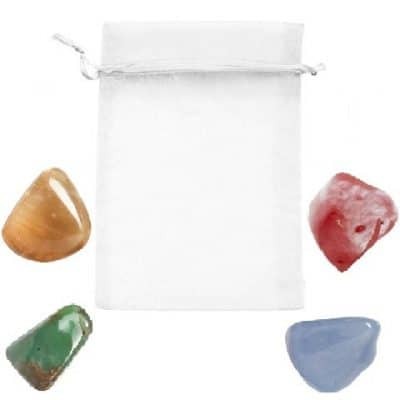 This crystal pouch was designed to bring these rules into our consciousness by using them in meditation, understanding how these stones work and exactly how to apply these crystals in your life daily to bring about what you ask for. 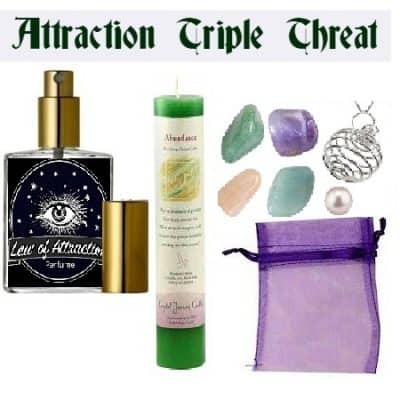 Aquamarine and Amethyst, which open the connection to the Universe through divine guidance and intuition, allowing us to ask for and receive information. Aventurine, which heals the heart and clears the emotional body, is used to open ourselves up to endless possibilities. We are now ready to create pure intention allowing us to believe that we are deserving of our request. Pearl, which promotes purity of mind, body, and spirit; opening a divine connection of highest good for all enabling us to receive our gifts with gratitude. Moonstone reflects back your deep desires, so a positive outlook is crucial. Moonstone encourages creativity, imagination, inspiration and awareness. It is the stone of new beginnings. 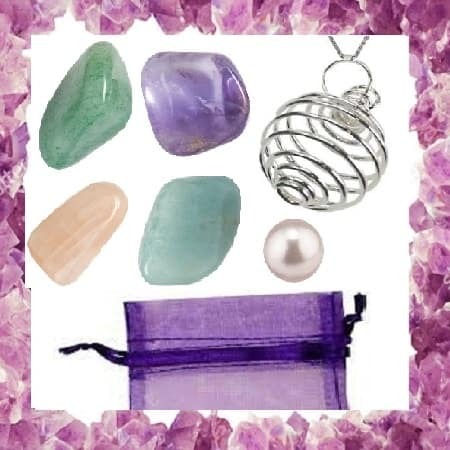 This very unique, crystal pouch and stone combination comes with all the information and knowledge you need to bring the law of attraction into your life! 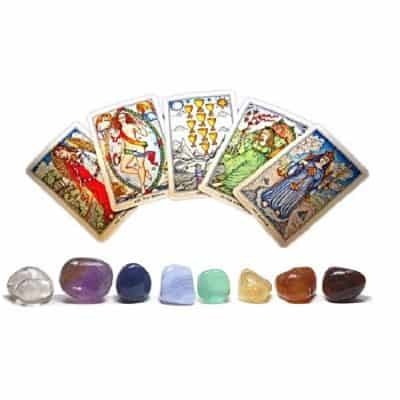 Each genuine gemstone is of the highest quality and are approximately 3/4 to 1 1/2 inches. The pouch comes with an interchangeable coil pendant to wear the stone you need that day. It also includes helpful information on how to work with your stones, clean them, meditate with them and use them to your greater good.